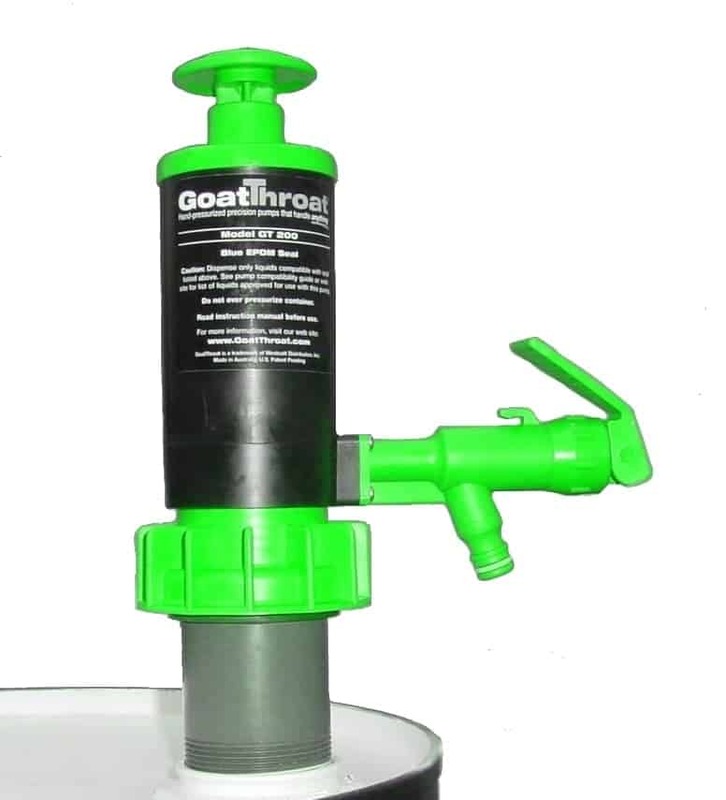 Food Grade/Chemical Grade GoatThroat Viton pump with 4″ Standoff. For use with acids, solvents, herbicides, bio diesel, oils with additives.Check compatibility guide for selection. 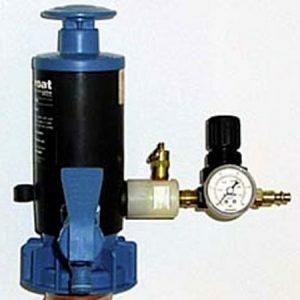 For viscosities like water, dispensing up to 4GPM. Flow is good up to 270 centipoise. 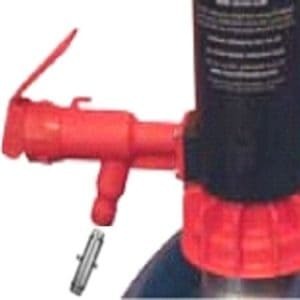 INCLUDES 1 pump, siphon tube set for up to 42 inches, 2-inch pipe thread fitting fits most barrels, 3 gram packet of molykote 111 grease and single medium drum seal. Note: single drum seal is standard. Other adapters are available for small pails and drums. Made in USA.